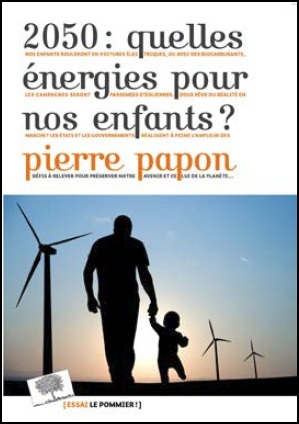 Accueil » Articles	» The nuclear agreement with Iran: a new deal for energy? Iran and the 5 + 1 Group (the five UN Security Council permanent members and Germany), had already reached an agreement in Lausanne, April 2, which established a general framework for a final nuclear agreement. It remained to clarify the conditions for its application and it was the objective of the final negotiation which continued until July 14 in Vienna, and which resolved major outstanding issues relating, related in particular to Iran’s nuclear activities control and the lifting of sanctions imposed on the country, since 12 years, because of its involvement in a military program. The central objective of the negotiations, was to put a barrier to Iran access to nuclear weapons by imposing a « breakout time » of at least one year (the deadline for producing the enriched uranium to build a bomb if he did not accept an agreement) whereas today that period would be 2 to 3 months, given its technical progress. The Vienna agreement will achieve this goal. It is a « Joint Comprehensive Action Plan » (a hundred pages with 5 very detailed annexes available on the EU website, European Union External Action Service, eeas.europa.eu ) applicable over a period from 10 to 15 years (with several levels): Iran agrees to strictly limit its enrichment of uranium capacity and possibilities of utilizing nuclear fuel. 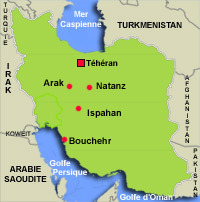 It will be authorized to use 6104 centrifuges (Class 1, the least efficient) instead of 19,000 centrifuges currently in its two centers in Natanz and Fordow, south of Tehran (but only 5060 of them may be used for the enrichment of uranium), the others being placed under the control of the International Atomic Energy Agency (IAEA) in Vienna. It will reduce its stock of enriched uranium (7.5 tonnes) to 300 kg enriched to 3.67% (used in reactors). These centers should be converted to civilian research. Part of enriched uranium between 5 and 20% could be used for a research reactor in Tehran. Iran will reconfigure its heavy water 40 MW reactor at Arak, south of Tehran, which can produce plutonium for use in an atomic bomb (7.7 kg per year), to operate with low enriched uranium ; heavy water stock will be limited without the possibility of building another reactor of this type for 15 years. The spent nuclear fuel will be transferred outside the country for possible retreatment. The control of the implementation of the agreement is a key point. Iran agreed that the IAEA would inspect its facilities, civilian and military. It also signed with the IAEA in Vienna, July 14, a memorandum of understanding that will enable this agency to make a full assessment, by the end of 2015, of Iran’s nuclear activities, including for military purposes. Finally, after approval of the agreement by the UN Security Council (in July) and verification of compliance by Iran with its commitments, the economic embargo measures (with a freeze of its financial assets in banks in the order of 150 billion dollars, imports of « sensitive » materials remaining prohibited) taken against him to get him to stop its military nuclear program will gradually be lifted with the approval of the UN by early 2016. This economic embargo has severely penalized Iran (since 2012 Western countries have halted their Iran oil imports, Japan partially but not China) and is the cause of internal social tensions, largely explaining Iran’s concessions during the negotiations. The embargo on arms deliveries will not be lifted any time soon. The agreement provides a subtle mechanism called « Snap Back » which allows one of the 5 + 1 countries which consider that Iran does not respect its commitments to request an investigation and possibly ask the UN Security Council to reestablish economic sanctions measures. A joint monitoring committee for the Agreement will also be set up. The consequences of the nuclear deal are of several orders. Firstly, as far science and technology are concerned, Iran will convert its nuclear activities while maintaining a civilian program under international control. Several Agreement annexes are listing a series of possibilities for an international nuclear cooperation. During the Lausanne negotiations, it was thus envisaged to transform the Fordow center into an international physics research institute, possibly equipped with linear accelerators, it is a proposal of the US energy secretary, Ernest Moniz, who participated in all the negotiations and, possibly, of France. Fordow centrifuges might be converted to produce iridium and molybdenum 98 isotopes. They would be irradiated with neutrons in the Arak reactor in order to produce molybdenum-99, having similarity with the technetium 99 radioisotope widely used in nuclear medicine; iridium-192 is used in neutron radiography to detect flaws in metal (see Stone, R., « Iran nuclear deal Would transform its infrastructures », Science, Vol. 348, p.164, 10 April 2015, www.sciencemag.org ). It is also proposed to Iran to be involved in the ITER international program on nuclear fusion (this is not necessarily a nice gift!). Iran would have the capacity of developing its civil nuclear program by building light water nuclear power reactors (it has regularly argued that it was one of its objectives). We have to remind that this was already the project of the former Shah that led Iran to take a 10% share in the French Eurodif plant (for uranium enrichment …). Iran has, presently, one 1 GW reactor in operation at Bushehr on the Persian Gulf whose fuel has been supplied by Russia. In a country with high seismic activity, nuclear power is not without risks and without question, the Bushehr having been hit by an earthquake in 2013 … It is rightly suggested to Iran in the one of the annexes to the Vienna agreement devoted to nuclear safety to build an institute on nuclear safety for training and research. The debate on the nuclear activities of Iran should not overshadow the fact that the scientific potential of Iran has experienced a remarkable development since ten years. According to the indicators of the Observatory of Science and Technology (OST, Benchmarks, scientific and technical area, www.obs-ost.fr ), it has greatly increased its R & D potential between 2002 and 2012 (0.8% of GDP in 2011) and multiplied by a factor of seven its world scientific publications share, the 18th largest in the world (1.4% for all disciplines), it is true that their impact index is below the world average. In a field such as advanced nanomaterials, Iran has established a national research network (forty centers) with the aim of being among the five leading countries in the field (Iran nanotechnology Initiative Council, www.nano.ir ). Iran (77 million inhabitants) has a scientific, artistic and literary elite, which is a great asset for its future economic and industrial development. We must not also forget that Iran which detains 9% of world oil reserves and 16% of those gases is, potentially, a major oil and gas producer. Its oil production has suffered from the embargo on exports but probably not as much as people say. According to BP statistics, Iran’s oil production decreased from 4.4 million barrels / day in 2008 to 3.6MB / day in 2014 (see BP Statistical Review of World Energy, 2015, www.bp.com ), while gas production has slightly increased over the same period. The nuclear agreement with the lifting of economic sanctions imposed on Iran , will open the prospect of an increase of its oil production of at least 1-2 Mb / day and that of gas and therefore its return to the international market. This will not be immediate because Iran will have to invest in its production infrastructures and it is difficult to make predictions about the impact it might have on the price of the oil barel in two years. The sharp drop in oil prices in 2014 and 2015, caused by the decision of Saudi Arabia not to limit its production and by the sharp increase of the shale oil production in the United States since 2010, in a context of an economic slow-down, handicaps seriously producing countries, like Iran and Russia, as oil royalties account for 60-80% of their budgets (decreasing those revenues was also, possibly, an objective of the strategy adopted by Saudi Arabia). Iran has a great need for oil and gas export revenues for its development. The nuclear agreement with Iran leads to at least three observations of a political nature. The first one is that it is a diplomatic success for the United States, and first for President Obama, and for Iran; the international press has amply stressed this point. It is true that one must expect a long battle in Congress, and it has already begun, where opponents of President Obama’s policy, among them most of Republicans, would like delaying the lifting of sanctions. On a more or less long term, the agreement will likely change the situation in the Middle East and in peripheral regions in many ways, not just for the nuclear agenda (see P. Papon, « What next after nuclear deal with Iran? « , Futuribles, No. 407, July-August 2015, www.futuribles.com ). Indeed the Vienna agreement puts back Iran in the international game, while the Gulf region is engaged in conflicts that are presently exacerbated, and it will strengthen its regional influence, especially if it is able to increase its economic weight. This was probably the fear of those who had expressed reluctance towards its conclusion, and firstly Israel and Saudi Arabia (France made some kind of resistance in negotiating acting as a « bogeyman » probably to show that she was vigilant as far as safeguards were concerned….). The second observation concerns the future of nuclear power. The agreement with Iran reinforces both the role of the IAEA and of the Nuclear Non-proliferation Treaty (NPT), as a negotiation under the auspices of the 5 permanent members of the UN Security Council have obliged a country to respect, under control, the strict rules of the NPT to be able to develop its civilian nuclear activities which remains a key condition for the development of civil nuclear power (it should be noted that Israel vehemently protested against the signing of the agreement with Iran while it has not signed the NPT and has nuclear weapons … as India and Pakistan). It is also conceivable that, in the future, the IAEA might extend its missions in order to monitor safety conditions of nuclear facilities, including new reactors (which presently is not part of its missions in the strict sense). Regarding the Middle East, it has been sometimes mentioned the possibility (since 1974) of its denuclearization (in the military sense), it remains a very distant prospect, and it would require, firstly, a close cooperation between the countries of the region in the field of civilian nuclear energy (at the R & D level); however, 22 countries in the region have again proposed this project, in 2014, in a joint letter to the UN Secretary General (neither Syria nor Israel have signed, cf. A.Glaser, Z.Mian and F. Von Hippel, « After the Iran deal: multinational enrichment, » Science, Vol 348, No 6241, p.1320, 19 June 2015, www.sciencemag.org ). The third observation regards oil production, Iran’s return to the market will weigh on oil prices and may postpone the oil peak production a few years forward, which is good for the economy but bad news for the climate since it might delay the rise of renewable energy in several countries. Hopefully, the scientific and technical potential of Iran, and possibly that of Saudi Arabia, will help developing their solar energy potential, which is very important, to meet their own needs. Anyway, the Vienna nuclear agreement is a turning point for the energy policy. « Baisse du pétrole: quel avenir pour le pétrole et le gaz non-conventionnels ?